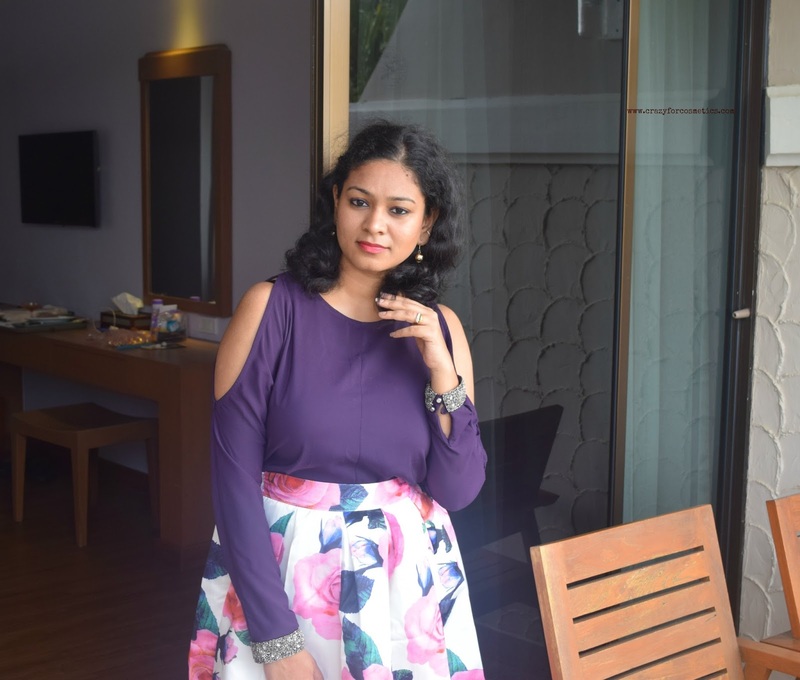 I am a total summer person because I love bright colors and Summers lift up my spirits.Being raised in a place like Chennai where the seasons are not that distinct, I got easily accustomed to Tropical Singapore. There always is a quick shower in the afternoon but apart from that the weather is pretty much the same all through the year. SUMMERS IMPLY SUNKISSED CHEEKS & TANNING! How many of us have sunkissed cheeks naturally? I am not that blessed but definitely, I can fake one using the right product. Summer is all about the healthy glow on you although tanning is a part of this journey. Highlighting & Contouring has gained importance in the recent years and I feel it is really important to learn those techniques to give your face that sculpted look. 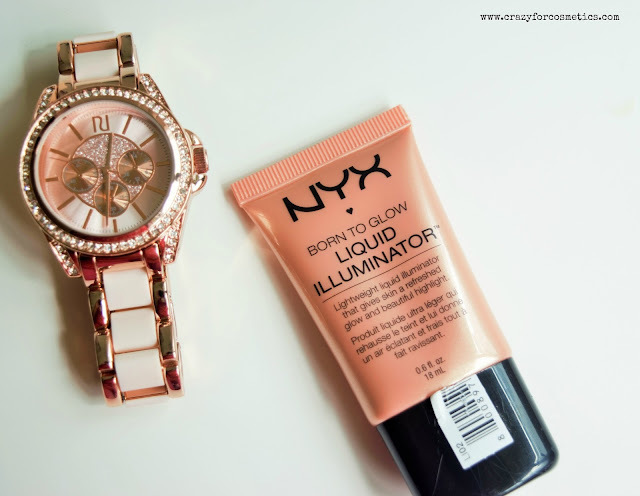 Highlighting can be an easy task if you have a product like NYX Liquid Highlighter because you do not need any brush to deal with it. 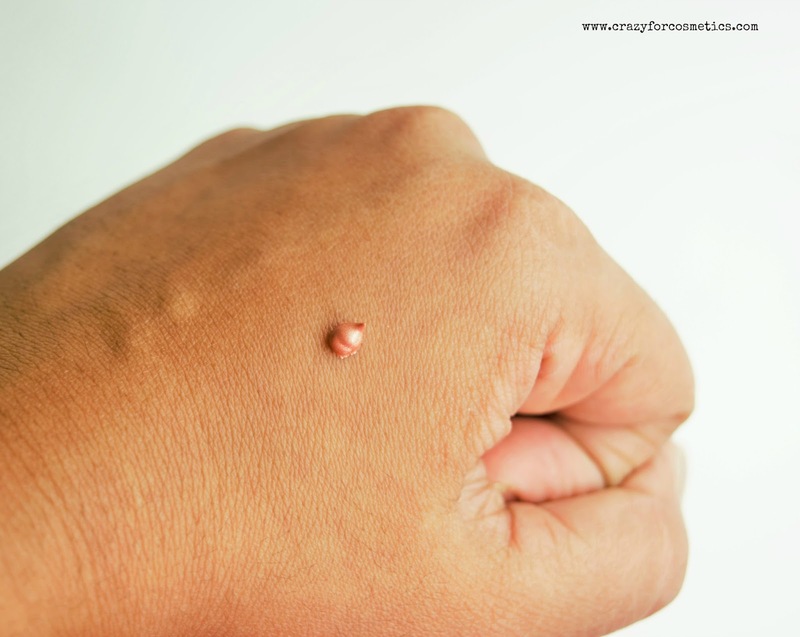 Just dot a few drops on the areas that require highlighting and blend with your fingers. 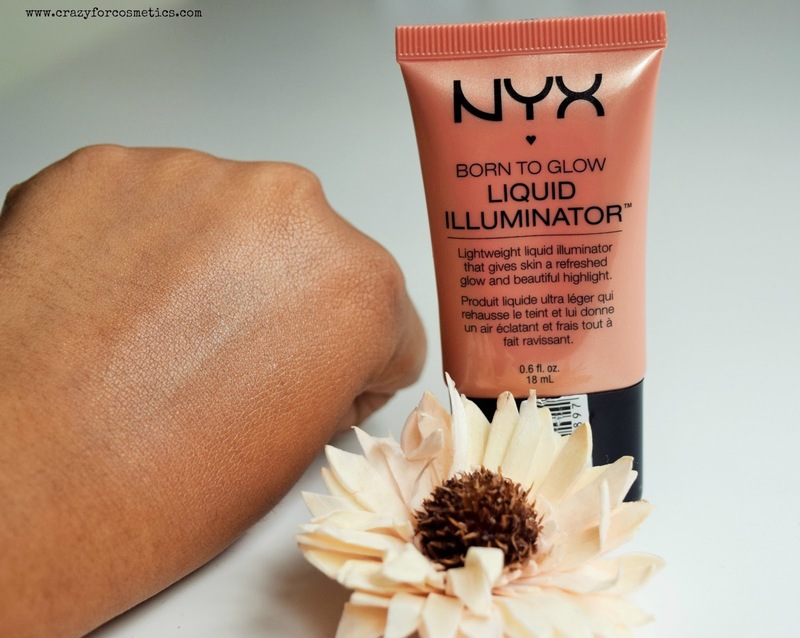 Enjoy a luminous, lit-from-within glow all year long with our luxuriously lightweight Liquid Illuminator. Now available in four light-catching shades, this multifunctional formula can be used as a foundation base or over cheekbones, décolletage, and cupids bow for a natural-looking radiance that’ll have everyone talking. Water/Aqua/Eau, Dimethicone, Cyclopentasiloxane, Butylene Glycol, Cyclohexasiloxane, Polyacrylamide, Polysorbate 60, Ethylhexyl Methoxycinnamate, C13-14 Isoparaffin, C9-11 Pareth-6, Tocopheryl Acetate, Ethylhexyl Palmitate, Ethylhexylglycerin, Disodium EDTA, Benzophenone-3, BHT, Phenoxyethanol. MAY CONTAIN / PEUT CONTENIR (+/-): Mica, Titanium Dioxide (CI 77891), Iron Oxides (CI 77491, CI 77492, CI 77499). 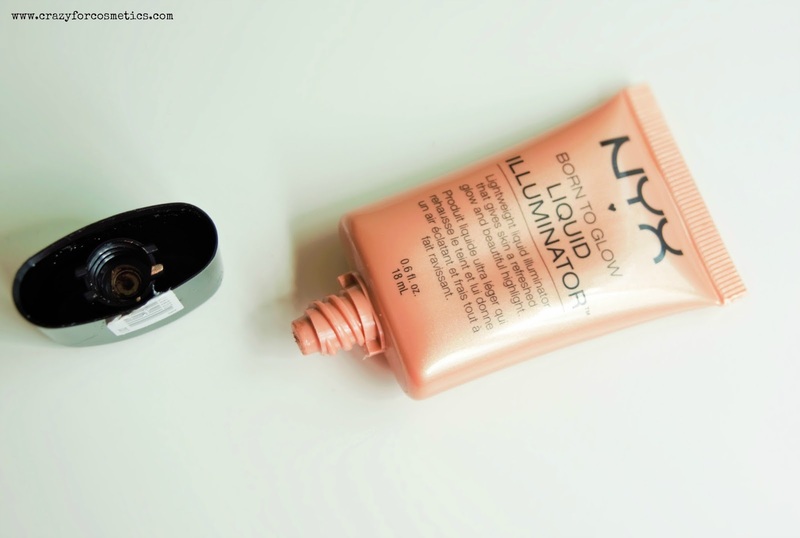 NYX Born to Glow Illuminator's packaging is a big win because it comes in this squeeze tube packaging which gives out just a drop of the product, which can be easily applied to the skin using your fingers.Plus I totally love the cute rose gold tube which is so compact and yet sturdy, ideal for traveling. The shade gleam is a rose gold shade that works great for Indian skin tones and there is no need for you to use a separate blush because it gives out a mild rose tone when set. I was initially doubtful if the rose gold shade might look odd on my nose bridge & cupids bow but it did not look strange because the shade kind of blends well with our Indian skin tones.We need around 3 to 4 drops to get the desired amount of sheen and color and I use my fingers to blend the product in. 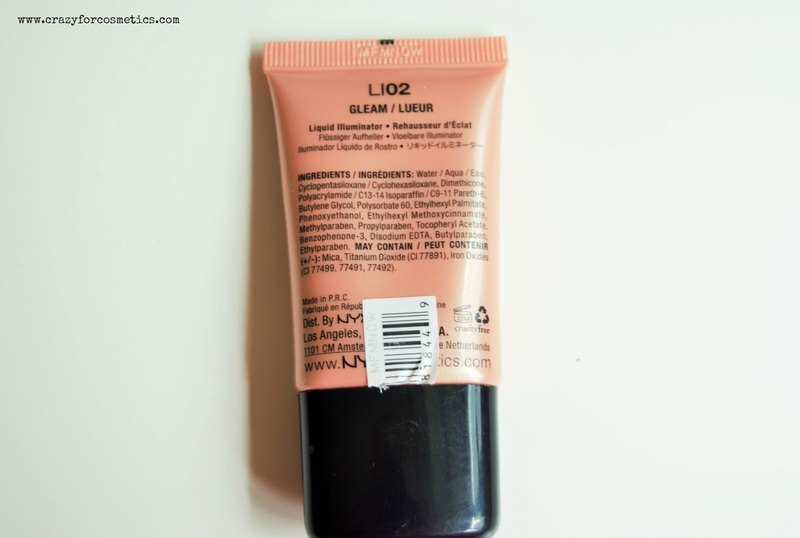 I had taken it during my Phuket trip and I used it every day since I did not want powder blushes.I prefer a mild rosy finish to the skin especially during beach vacations, so this was just right for me. I totally loved how it gave a good peach color to my cheeks and at the same time highlighted the cheekbones and bridge of my nose. Those of you who love your blush, then this product might not compensate your blush but it can act as a great highlighting/strobing product. Sometimes if you are heading out to a party in the evening, you can also use this on your collar bone. 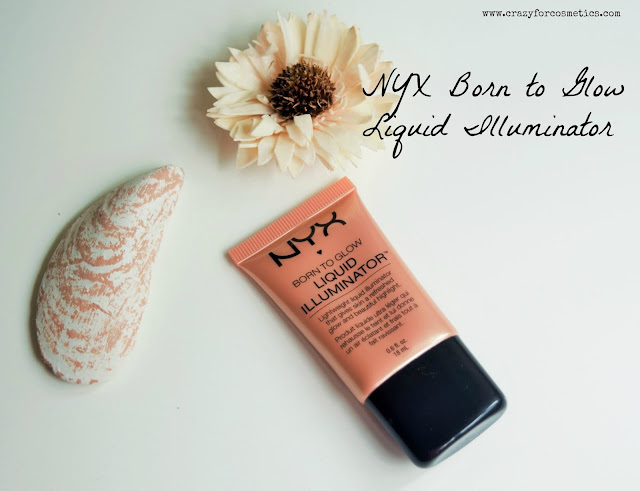 The NYX Born to Glow highlighter has a very mild smell which does not bother us much and the illuminating particles are quite tiny and do not look jarring even under flash.The product basically looks like liquid foiled eyeshadow and sets to a matte finish when applied.The illuminating particles reflect the light thereby giving a luminous finish to the skin. 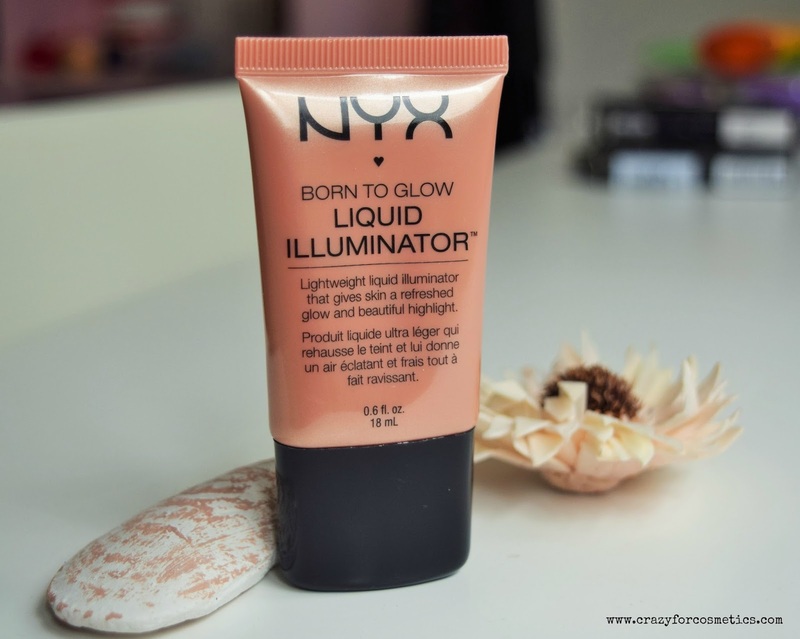 It stays for about 4 hours after which you need re-application and I know it is quite less a time but for the money, it is worth it.The Nyx liquid illuminator does not make your skin oily and can be used by people with all types of skin. It does not emphasize pores and therefore it can be a great budget alternative to Benefit High Beam Liquid Highlighter. 3 : Does not make your skin oily. 4 : Can act as a blush/Highlighter for those wanting a mild color on your cheeks. 5 : Available in different shades too. 6 : Gleam shade suits Indian Skin tone. What one should learn from Life's experiences?